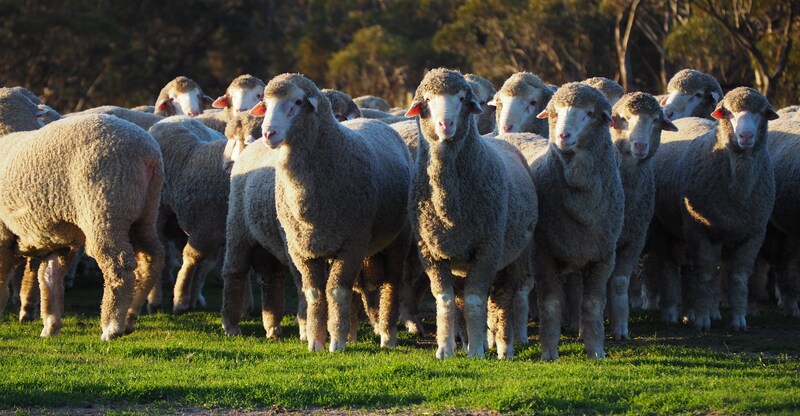 Adelaide Ram Sale: 4 rams offered and sold. Lot 53 sold for $13000 to Mulga Springs, Lot 54 for $18000 to Jaburee Stud, Lot 55 to Charinga for $12000 and Lot 56 to Moorundie Park for $16000. Above: GP 170437 sold for$18000 to Bevan and Benji Bury of Jaburee Stud, Wilmington, SA. Classings Classic @ Murray Bridge: 2 rams offered and sold for $7000 and $8000. Thank you to all who attended our on property ram sale on August 17th. 168 rams offered and sold to a top of $5800 (Nareen Station, Coleraine) and an average of $2358. We thank our buyers and underbidders for their support and wish you well with your purchases. We offered and sold a pen of 5 rams at Hamilton Sheepvention to a top of $10000 (x2) and an average of $5800. We offered and sold 2 rams at the Bendigo Sheep and Wool Show. 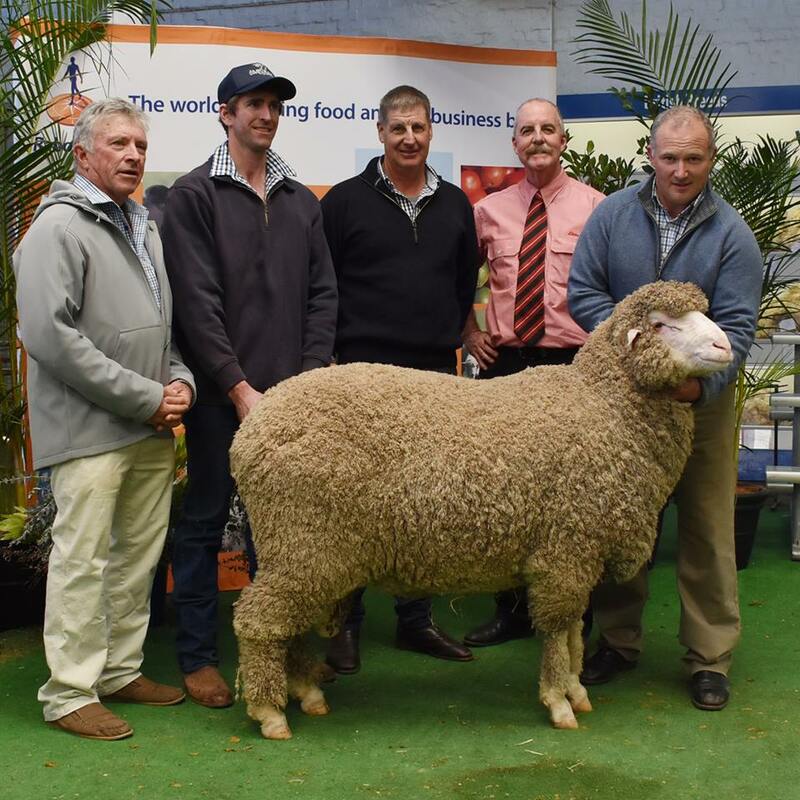 Lot 113 sold for $5000 to Joseph Murdoch of North Cowie, Warooka, SA and lot 114 sold for $16 500 to Aaron Granger of Rogara Poll Merinos, Quialigo, NSW. Above and below: a selection of the rams sold at our 2018 On-Property Sale on Friday, August 17th. 382 is sired by Moorundie NE 73 and is a perfectly balanced ram with great purity. He has good bone with a great neck extension and back end traits. He has a super soft white wool (pictured below) which tests very positively. 614 is ET bred. His sire is Moorundie NE 73 and his dam is 150193 (sired by Glenlea Park 013137). We are offering his full flush ET brother for sale at the Australian Sheep and Wool Show Ram Sale in Bendigo. Like 382 above, 614 is a very well balanced ram with a great back end and meat traits. His wool (pictured below) is long stapled and deeply crimped. Above: GP 160060 Sire Banavie 130303 Micron 19.9 SD 16.6 CV 3.3 CF 99.4 A very correct ram with a silky, pure muzzle, he stands square and has a quiet temperament. A huge wool cutter with great lock and a deep bold crimping wool, his fleece weight was 151% of the sale rams' average. Wool pictured below.